The McGill Library and Archives is pleased to welcome Jeffry Archer as the new Associate Dean, User Services, on a four-year term effective January 3, 2017. “Jeffry will be an incredible asset to the entire McGill community. 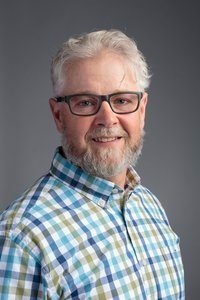 Throughout his career, he has shown himself to be a hands-on leader who understands the importance of listening to the diverse needs of students, faculty, and researchers and has the ability to develop services to best support the community,” said C. Colleen Cook, Trenholme Dean of Libraries. Archer joins McGill after more than two decades with Regenstein Library at the University of Chicago, where he most recently served as Head of Reference, Instruction and Outreach (RIO) and Bibliographer for Business and Economics. Archer was an active participant in desk, email and research consultations and providing specialized reference and bibliographic services to support teaching and research programs. He also led initiatives on campus, including efforts to increase disability accommodations and accessible technologies in the library. “The world class students, faculty and researchers who use the Library are our most important resource. As the academic heart of the McGill campus, our primary responsibility is designing, implementing and offering the services that allow them to access the information they need, however, whenever and wherever they want it,” said Cook.